Rich in nature, architecture, culture, and history is Norway’s second largest city and the second stop on our Norwegian cruise: Bergen. 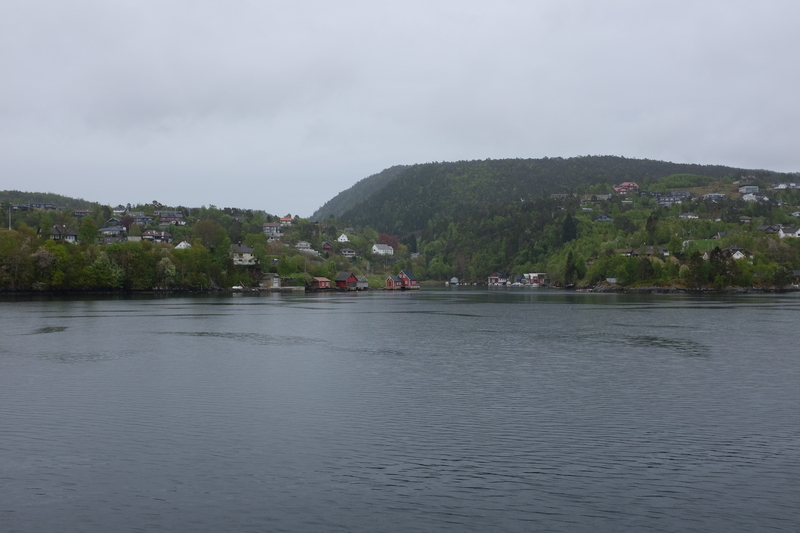 Known as the gateway to the Fjords – surrounded by mountains that overlook the sea, this Norwegian city definitely has a lot to boast about, which is why this was the cruise stop I was most excited for. Royal Caribbean ships dock in the industrial port of Bergen, which is within a restricted area that outsiders aren’t allowed to roam around in. That being said, a short shuttle ride (not more than five minutes) is provided by the cruise line, which takes cruise passengers out of the industrial area and into the city’s perimeters. 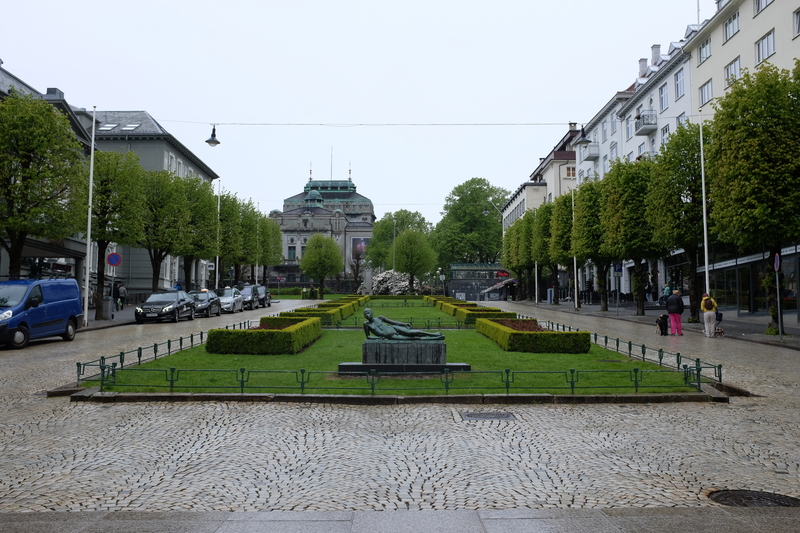 From the drop-off point of the shuttle, it’s an easy 15-minute walk to the city center. 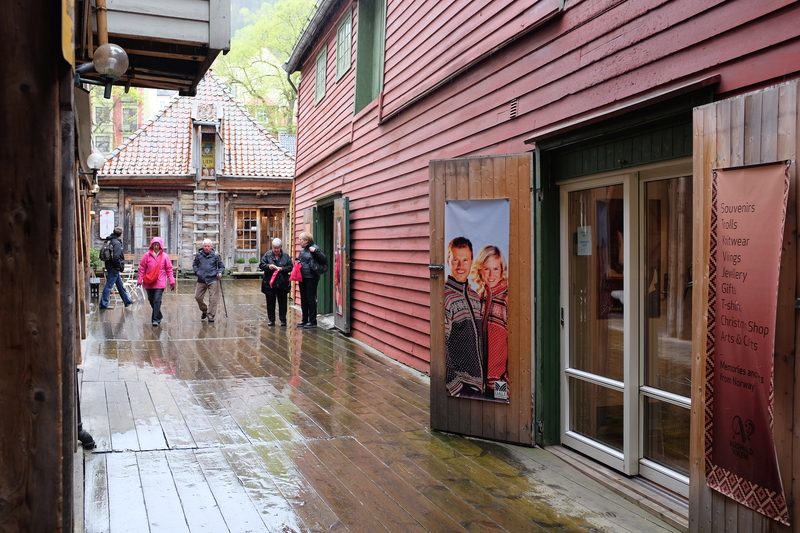 According to our tour guide, it rains 300 days a year in Bergen, which means you’re lucky if you get to experience Bergen without rain. When we were there, however, it rained the whole time. Since we didn’t anticipate this kind of weather, we ended up buying two big umbrellas from one of the local convenience stores. A tip: bring your own umbrella, so you don’t have to spend on buying new ones. Also, it was a waste for us, as we eventually had to leave it behind in the airport in Copenhagen, since it didn’t fit in our luggage. Note that things are expensive in Norway, so unfortunately, it was quite an amount that went to waste. Despite the rain and the gloomy weather, we made the most out of our short stay in this dynamic city. 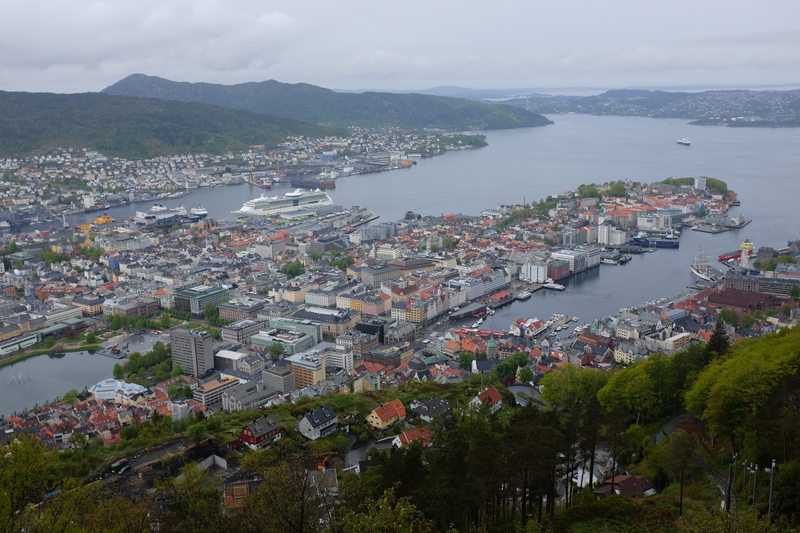 Given that this was a city I’d been longing to visit, I had a short list of must-dos that indeed are the 5 things not to miss when in Bergen. 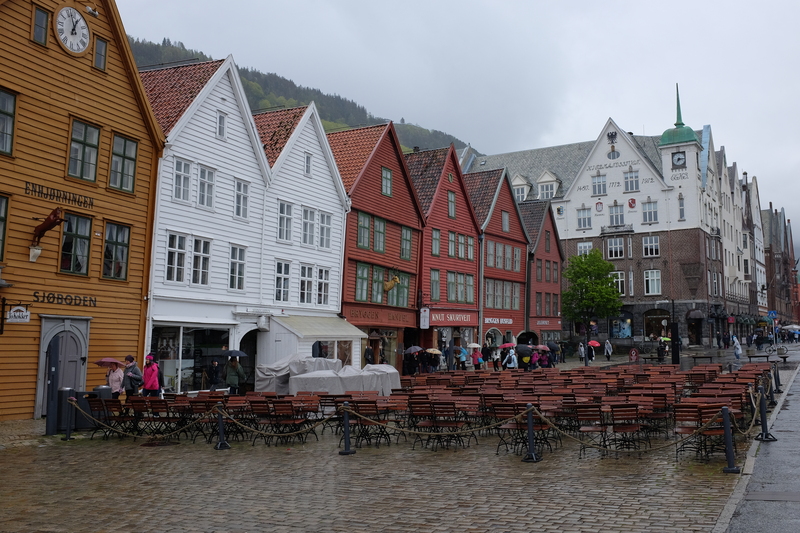 Coming from Royal Caribbean’s complimentary shuttle drop-off point, we made our way to the city center of Bergen by foot. Though it was confusing at first, since we had no idea where we were, we followed a big tour group that eventually led us to the heart of the city. 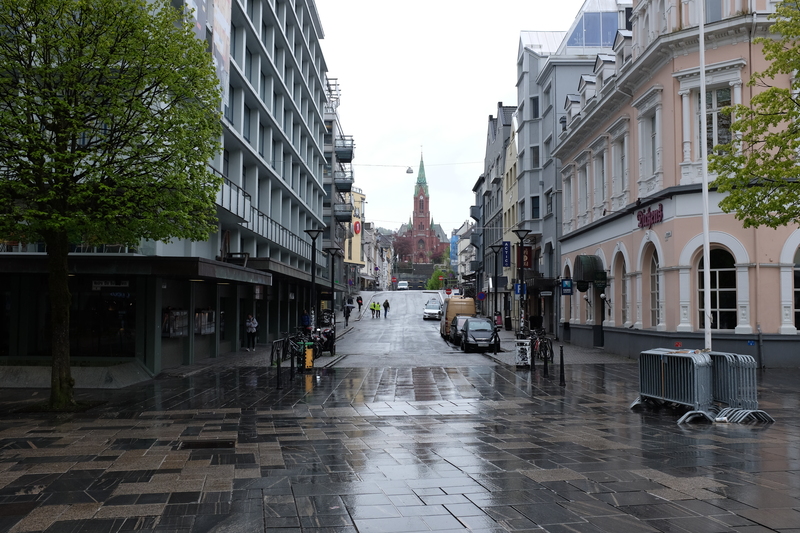 Exploring the city center is quite an adventure, as we found our way past rain-soaked roads in search for the Bergen Opera House and onwards to the commercial district of the city that provides visitors with more than enough room to walk around in and a multitude of retail and dining options. The old wharf of Bergen, situated right by the city’s harbor, is a UNESCO World Heritage Site. A significant part of history, Bryggen is the very icon of the town’s importance during the 14th to 16th centuries as trading hubs. The colorful wooden houses that make-up Bryggen are a sight to see, not only because of its multi-colored façade, but because it has withstood tests of time. 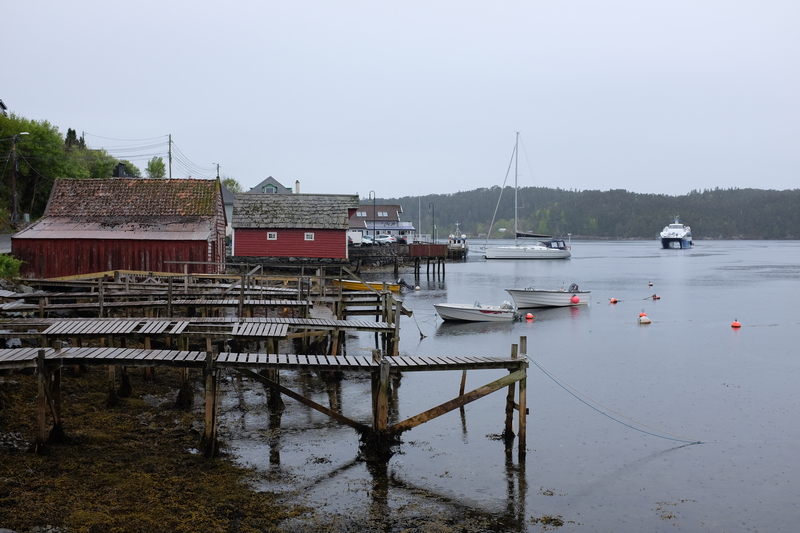 The area surrounding Bryygen is a stunning landscape, as you get a view of the harbor, the mountains and hilltop houses, with greeneries all around. 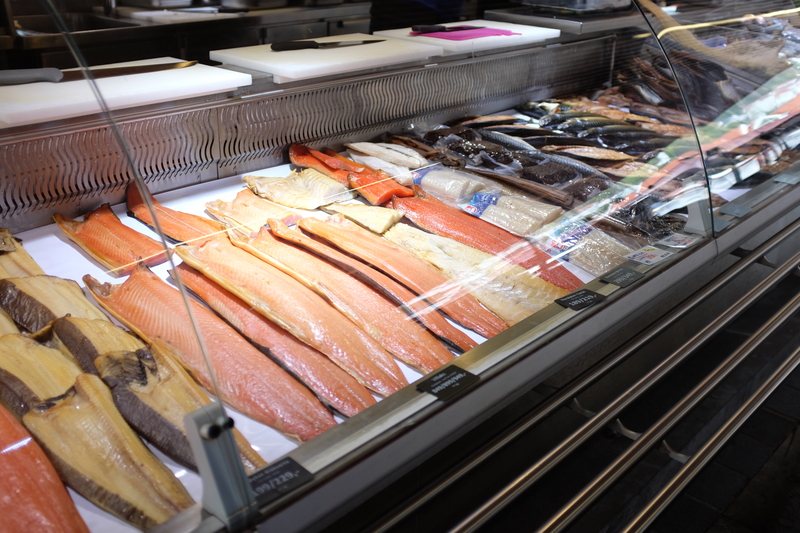 Indulging in local food finds is a must for me – no matter where I go, so when we came across Bergen’s Fish Market as we were exploring the city center, I knew we had to try something out. 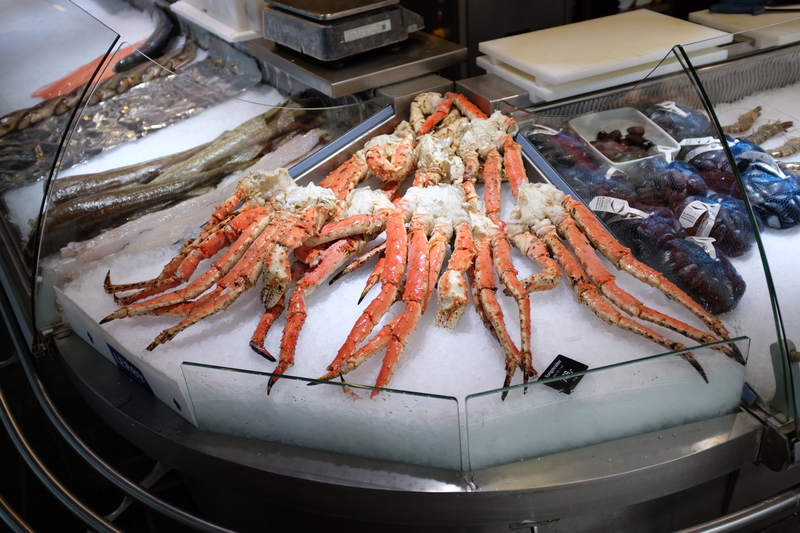 Though there is an outdoor area that serves as the traditional fish market, there is an indoor dining area right beside it called Fisketorget that is lined-up with a few restaurants with open dining spaces. These restaurants offer the freshest seafood I’ve had to date. 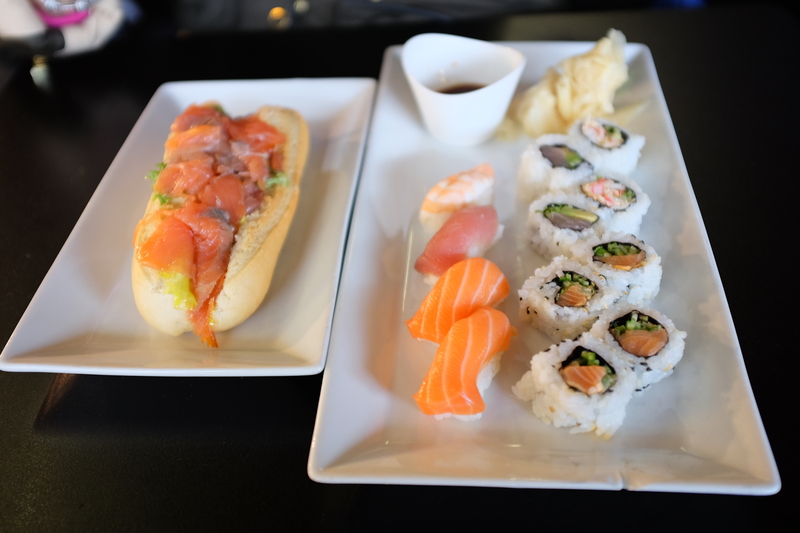 From the best salmon sandwich to the most delicious sushi rolls I’ve had in my life, it’s no wonder that we found ourselves dining in this local treasure twice in the one day that we were there. 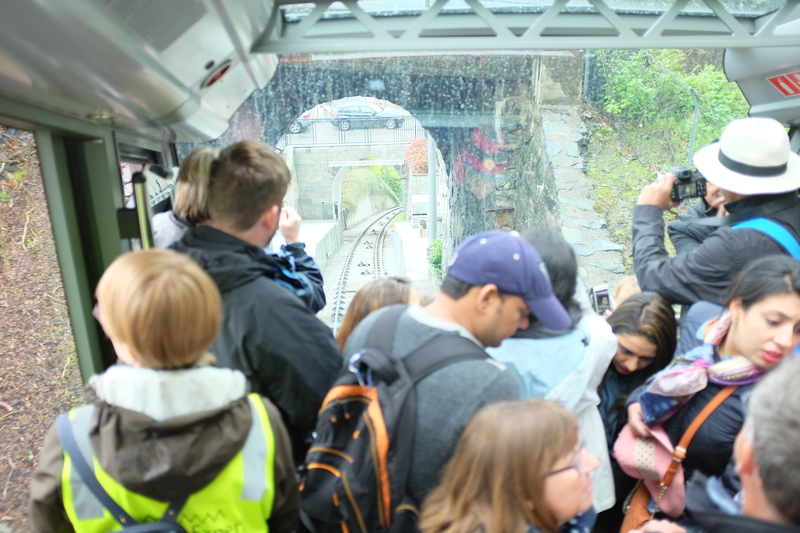 If we had more time and if the weather was better, I would have opted to hike up Mount Fløyen; but given the limited time we had (as we were scheduled on a tour excursion that afternoon) and the endless rain we were experiencing, we took the funicular up to the top. Fløibanen, the funicular’s station, is located only 300 meters off of Bryggen and is an easy walk, despite a short uphill distance. 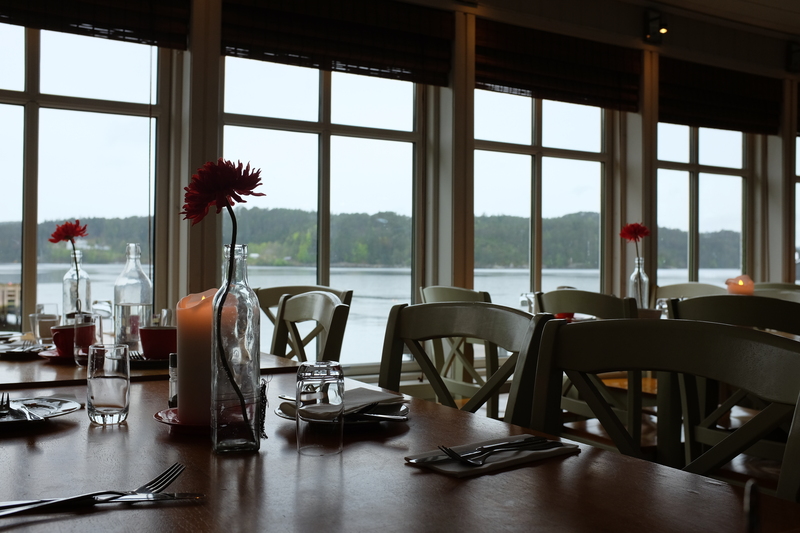 At first, we were contemplating on whether or not it would be worth it to do this, but given it’s reasonable price: 90.00NOK / approximately 11USD, we went for it; and I am so glad we did! 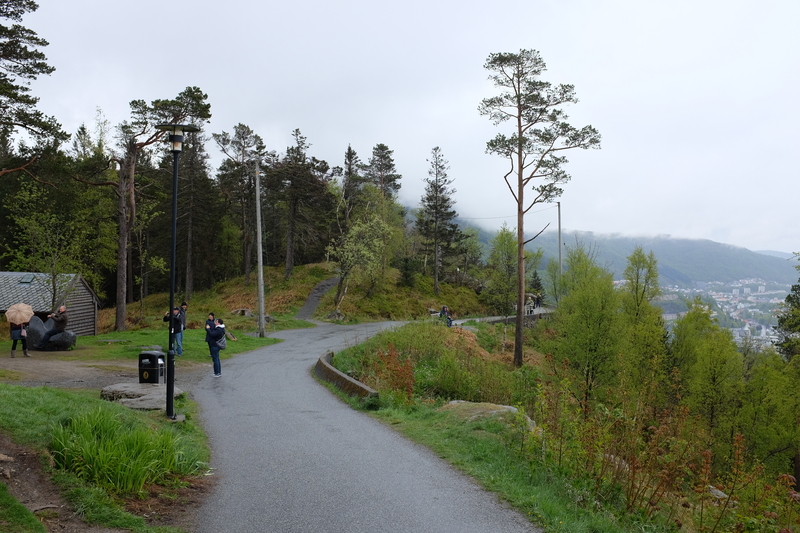 I cannot begin to describe how this is a big, big, big must if you’re visiting Bergen! The trip up to the top is already an exciting adventure in itself, but the view from the top – even more so. As I always say, photos will never do justice. 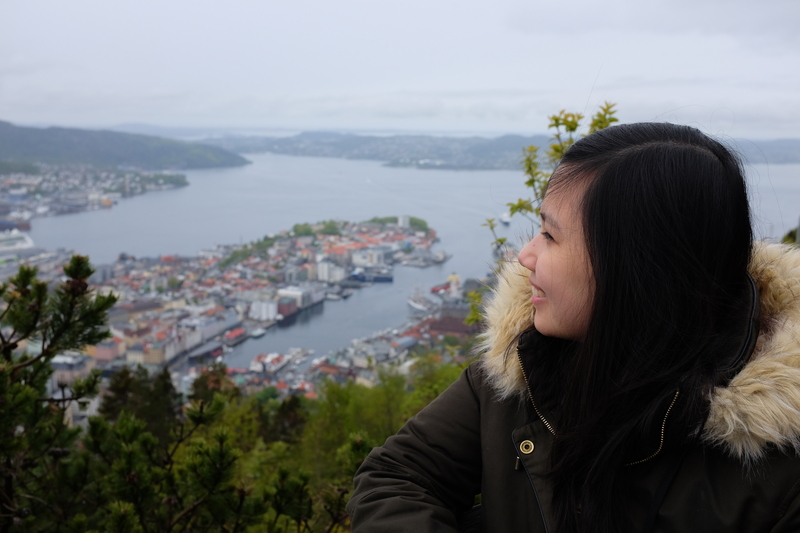 It truly was such an incredible experience being at the top of Mount Fløyen, seeing this huge, exciting city from afar, with stunning landscapes surrounding it. Also, we could see our ship at a distance! There’s also a small park, should you wish to explore a bit more; but given time-constraints, we opted to simply enjoy the view. 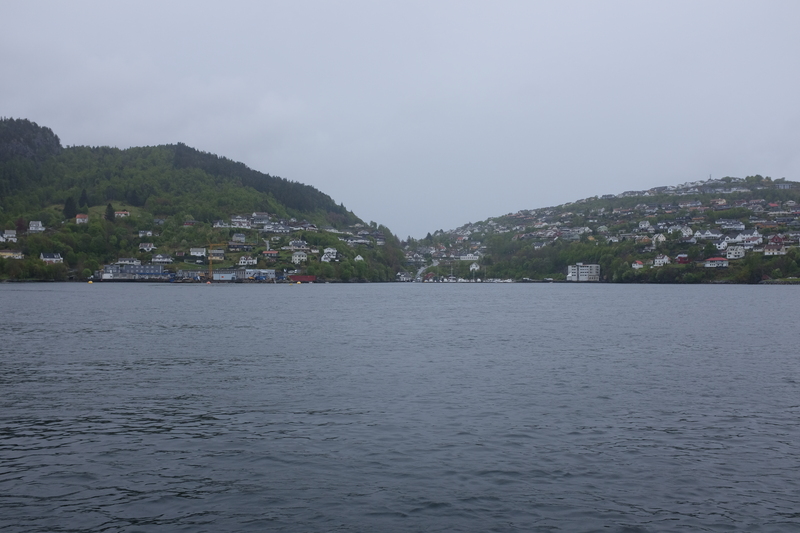 Just a little before noon, we walked back to the area our ship was in, as we were scheduled for a tour excursion in the afternoon, namely: Bergen by Land and Sea. 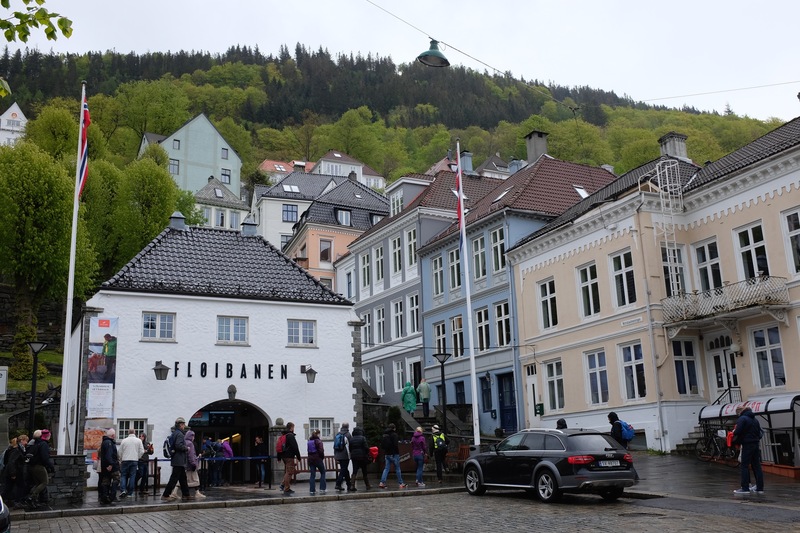 This excursion is one I highly-recommend, as it gives you a taste of Bergen by land and sea – definitely true to its name! Indeed, it was cruising on a hydrofoil that was the highlight of this excursion. The sights were absolutely fantastic. Though it was freezing cold out on the deck and the wind was so strong that during most of the cruise, I had to brush my hair off my face, I opted to stay on deck and enjoy the beauty laid right before my eyes. 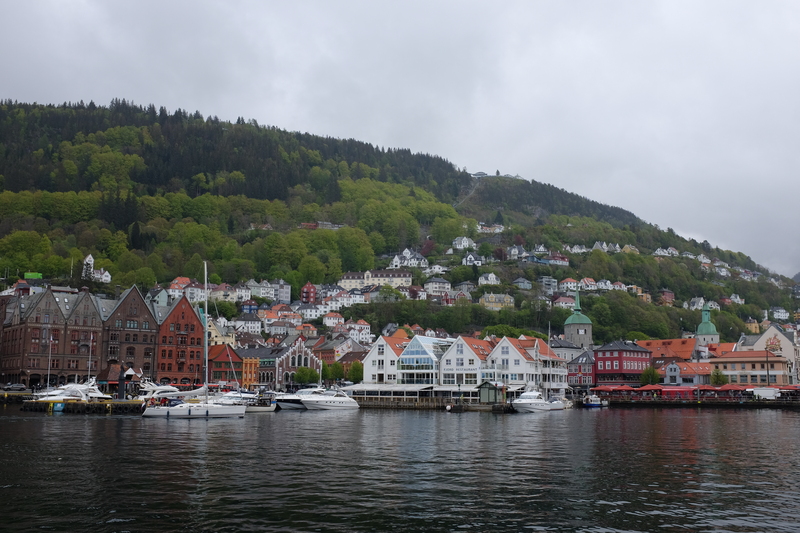 The Bergen by Land and Sea excursion was definitely a great end to our day in the city. 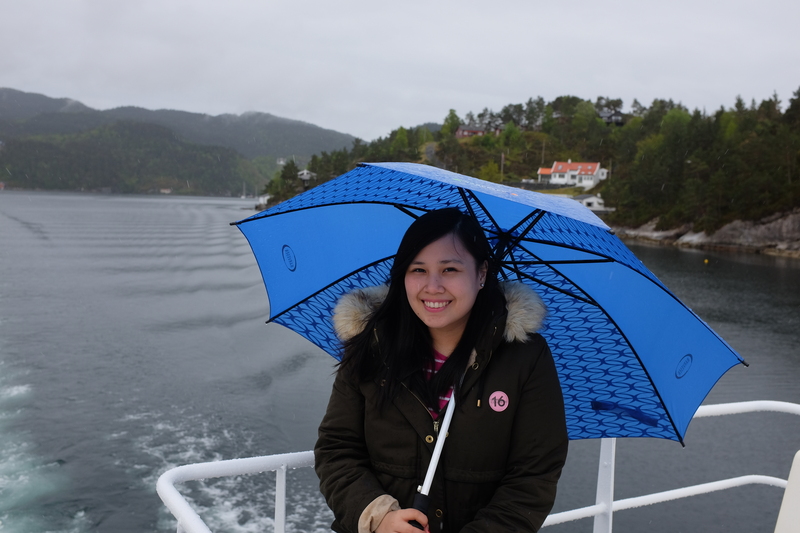 At the end of it all, we felt like we did make the most out of our short trip to Bergen. 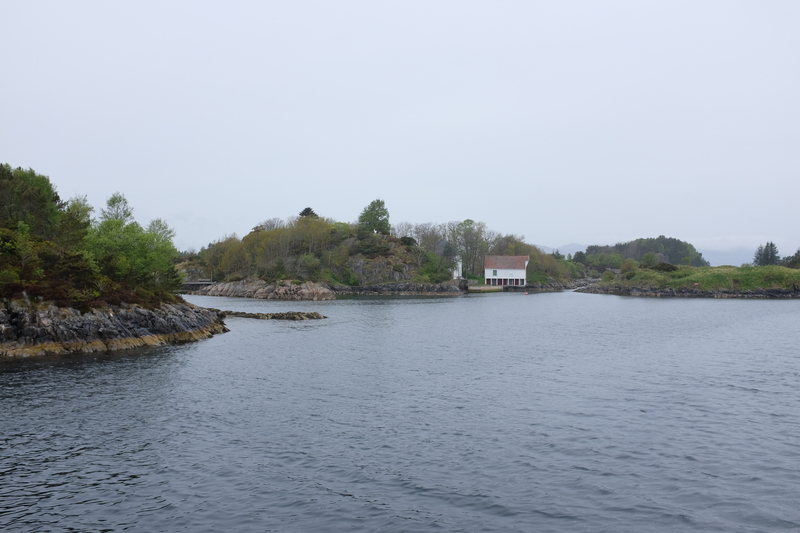 Surely, if we ever go back to the glorious Kingdom of Norway, Bergen will once again be on the list.